In response to Mike Huckabee's recent remarks to gays who parent or want to parent ("Children are not puppies. "), Chicago couple and Food Network stars Steve McDonagh and Dan Smith — aka The Hearty Boys — have invited Huckabee to dinner and to meet the 4-year-old adopted son Nate. You may know me from Food Network. My partner, Dan Smith, and I are The Hearty Boys. 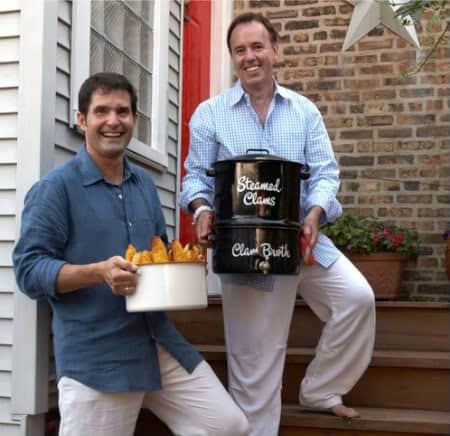 We’re Chicago caterers, restaurateurs, cookbook authors and most importantly, dads. Dan and I have been in a stable, monogamous, loving, positive, nurturing and healthy relationship for 13 years. We were blessed to adopt our son, Nate, at his birth 4 1/2 years ago. Sir, your comments likening my parenting my son to adopting a pet are beyond hurtful and dangerous. My love, passion and commitment to Nate is not one iota different than what you have for John Mark, David and Sarah. Our son is loved and cared for just as much. He feels just as loved and cared for. He is a happy, well adjusted little guy whom I fiercely love. 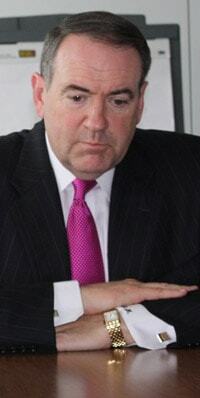 Mr. Huckabee, I invite you to spend the evening with us at our home in Chicago next time you come through. You need to understand and see firsthand what a family like ours is like. We are no less a family than yours, and in fact, we are healthier and more stable than most. Americans are no longer going to sit silent as our families are attacked. And even though I find your comments reprehensible and irresponsible, I will open my home to you and pray that we might help you better understand the damage you could inflict. Wonder if Huckabee will have the courage to accept.